Can an employer in New York terminate one of its employees without cause, for example by layoff or firing, and still enforce contractual restrictions preventing that employee from competing against it? The Court of Appeals has addressed the issue, twice, in the past 35 years. Yet, its decisions have been cryptic. The various Appellate Divisions and federal courts in the Second Circuit have not construed them consistently. For that reason, the rules are different depending on localized jurisdictions, and even then the result is far from certain. Employers seeking to enforce these post-employment restrictions would be wise to understand the landscape before any foray into a potentially unwelcome jurisdiction. That tortuous landscape is described below. It is well-established that New York disfavors agreements that restrict an employee's ability to compete against his former employer because "powerful considerations of public policy...militate against sanctioning the loss of a man's livelihood." To be enforced, such agreements must pass a test of "reasonableness," meaning they are (1) no greater than required to protect the employer's legitimate interests, (2) not unduly harsh on the employee and (3) not injurious to the public. 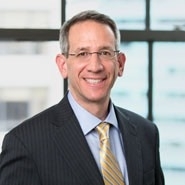 Post-employment restrictions on competition typically will be scrutinized for reasonableness by all courts in New York. However, the dilemma raised by this article-what is the proper framework after a termination without cause?-arises from an important exception to the standard of reasonableness known as the employee choice doctrine. Under that doctrine, an employer may condition payment of certain post-employment benefits on the employee's agreement not to compete. If the employee competes, the conditioned benefits are forfeited. The rationale for not subjecting such agreements to a reasonableness analysis is that there is nothing unreasonable, the courts hold, about giving an employee the option of either abiding by his agreement not to compete or forfeiting post-employment benefits. The employee's ability to choose is central to the exception. Litigation over the employee choice doctrine has created a judicial split of authority as to the proper analysis after an employer terminates the employment of one of its employees without cause. The confusion arises from language in a 1979 Court of Appeals' decision, Post v. Merrill Lynch, Pierce, Fenner & Smith, which created an exception to the employee choice doctrine, which, as noted, is an exception to the reasonableness standard. The employee choice doctrine has its origins in a 1951 Court of Appeals' decision, Simons v. Fried. There, the court reviewed the enforceability of a contract that prevented part owners of a furniture enterprise from competing against the enterprise unless they sold their stock. Enforcing the contract, the court observed, "the Frieds have only to dispose of their Simons Company stock in accordance with the contract and they will then be wholly free to engage or invest in any lawful business anywhere." The Frieds had a choice. The main pillar of the employee choice doctrine was born. Enter Post. Merrill Lynch employed Jack Post and his colleague Maney as account executives. Post and Maney participated in the firm's pension and profit-sharing plans. Merrill Lynch conceded for the purposes of the decision that it terminated Post's and Maney's employment involuntarily and without cause. The former employees then commenced employment with a competitor. Merrill Lynch, pursuant to a forfeiture-for-competition provision in its agreements with the employees, forfeited their benefits. Acknowledging the tension between the freedom of individuals to contract, and the reluctance to see one barter away his freedom, the State enforces limited restraints on an employee's employment mobility where a mutuality of obligation is freely bargained for by the parties. An essential aspect of that relationship, however, is the employer's continued willingness to employ the party covenanting not to compete. Where the employer terminates the employment relationship without cause, however, his action necessarily destroys the mutuality of obligation on which the covenant rests as well as the employer's ability to impose a forfeiture. Thus, at least in the forfeiture-for-competition context, the employee's choice is not only between competing or keeping post-employment benefits, but also whether to stay or leave his or her current employer. But, the sweeping language is not limited to the forfeiture-for-competition context. The court wrote that "[w]here the employer terminates the employment relationship without cause," the employer "destroyed the mutuality of obligation" that would be present in all restraints on an employee's employment mobility "as well as" the ability to impose a forfeiture. This implies that an employer may not enforce any restrictive covenant after a termination without cause. Arguably, the court's broad legal pronouncements were dictum because they were not central to resolving the case that was before it, the validity of a forfeiture-for-competition clause. The court went on to reason in much more limited language that the specific forfeiture of "the pension benefits earned by [the] former employee" "is unreasonable as a matter of law and cannot stand." So, what is the rule of Post? In the forfeiture context, are only pension benefits excepted upon a termination without cause? What about the non-forfeiture context? Does the court's sweeping language mean that no restrictions can be enforced by an employer that lets an employee go without cause? It is not surprising that different courts interpreted the sweeping language and narrow holding of Post in different ways. What perhaps is surprising is how quickly a split in appellate authority developed and how, in the decades since, that split has not been resolved. In 1980, only a few months after Post, the Fourth Department construed Post narrowly, concluding that a forfeiture-for-competition clause was not always invalid as a matter of law upon an involuntary termination. "We do not think...that under [ Post] the forfeiture was unreasonable as a matter of law solely because the discharge was involuntary." The court construed Post's "unreasonable as a matter of law" language as limited to "a forfeiture of rights under an 'employee pension benefit plan' that [is] covered by ERISA." The very next year, the Second Department construed the sweeping language in Post broadly. In Borne Chemical v. Dictrow, the court decided whether an otherwise reasonable restriction was enforceable where the employee had been terminated by the employer without cause. Forfeiture for competition was not at issue, but the basis for termination was sharply disputed. The court found the issue "critical to the determination of whether the covenant against competition should be enforced." Citing Post, the court reasoned that "if the employment has been terminated by the employer without cause, the employer will not be permitted to invoke the [otherwise reasonable restrictive] covenant." In 1980 and 1981, these two appellate rulings highlighted the very different ways Post could be construed. But, in the decades since, the courts have not resolved this split of authority. The New York Court of Appeals actually had an opportunity in 2006 to clarify the analysis but did not do so. In Morris v. Schroder Capital Management Int'l, a case certified from the U.S. Court of Appeals for the Second Circuit, the court held that the constructive discharge test that applied to federal discrimination cases could be applied in appropriate circumstances to determine whether an employee had been terminated without cause. The court did not need to revisit Post's confusing language. But, instead of either ignoring Post or clarifying it, the court repeated both the sweeping language of Post-"[w]here the employer terminates the employment relationship without cause, 'his action necessarily destroys the mutuality of obligation on which the covenant rests as well as the employer's ability to impose a forfeiture" - and its more limited holding that a provision allowing forfeiture of pension benefits for competition after an involuntary termination is "'unreasonable as a matter of law.'" In effect, Morris perpetuated both a narrow and broad construction of Post. Courts have largely ignored Morris and have continued to apply Post inconsistently. The Fourth Department continues to apply Post narrowly. Recently, in Brown & Brown v. Johnson, the court expressly rejected a per se rule against enforcing a restrictive covenant after a termination without cause. Instead, it held that Post applied only to restrictive covenants tied to post-employment benefits. As to restrictions not tied to post-employment benefits, the court applied traditional reasonableness factors without regard to the reason for the termination. The Second Department continues to apply Post broadly with what appears to be a bright-line rule. In 2011, the court recognized, in Grassi & Co. v. Janover Rubinroit, LLC, that if the employer terminates the employee involuntarily and without cause all restrictions will be stricken without regard to whether they would have been reasonable if the employee had resigned. The rule in the First Department is less well settled. In 2007, in Scott v. Beth Israel Medical Center, the hospital conditioned payment of severance on a termination without cause and an agreement not to compete for a period of time. The physician-employee left the hospital to work for a competitor, but the reason for termination was disputed. Based on Post's sweeping language, the court denied summary judgment for the hospital but did not say expressly that the covenant would be stricken if the doctor proved he was terminated without cause. The reason for termination had some unspecified impact. Until recently, it appeared that federal courts in New York followed the Second Department's broad construction of Post. Lower federal courts have held that restrictive covenants are generally invalid as a matter of law after a termination without cause. However, the Second Circuit has called these decisions into question. In 2012, in Hyde v. KLS Professional Advisors Group, the court suggested that "a traditional overbreadth" analysis be applied to restrictive covenants after a termination without cause and construed Post's holding narrowly. "In Post, the New York Court of Appeals held only that when an employee was terminated without cause, the employer could not condition the employee's receipt of previously earned pension funds on compliance with a restrictive covenant." Despite the Second Circuit's suggestion, however, lower federal courts continue to apply Post broadly. As is evident, 35 years after Post, on one end of the spectrum courts rely on Post to strike all restrictions as a matter of law after an involuntary termination without cause. On the complete other end of the spectrum, courts far more narrowly suggest that the reason for termination is relevant in the forfeiture-for-competition context, but even in that more limited context limit striking such provisions as a matter of law to the forfeiture of pension benefits. The different outcomes in different jurisdictions cannot be easily reconciled. Employers must understand the law that likely will apply to a particular situation before deciding in which jurisdiction to pursue their claims. However, in the case of enforcing restrictions after a termination without cause, that decision-making is fraught with uncertainty. Post v. Merrill Lynch, Pierce, Fenner & Smith, 48 N.Y.2d 84, 86 (1979). Simons v. Fried, 302 N.Y. 323, 326 (1951). Wise v. Transco, 73 A.D.2d 1039 (4th Dept. 1980). 85 A.D.2d 646 (2d Dept. 1981). 7 N.Y.3d 616, 701-702 (2006). 2014 N.Y. App. Div. LEXIS 831 (4th Dept. Feb. 7, 2014); see also Eastman Kodak v. Carmosino, 77 A.D.3d 1434, 1436 (4th Dept. 2010). Grassi & Co. v. Janover Rubinroit, 82 A.D.3d 700, 702-03 (2d Dept. 2011) (in broad language, striking down otherwise reasonable forfeiture/reimbursement provisions). 41 A.D.3d 222, 224 (1st Dept. 2007). See Arakelian v. Omnicare, 735 F.Supp.2d 2010, 22, 41-42 (S.D.N.Y. 2010) (granting employee summary judgment striking down non-competition and non-solicitation provisions after a termination without cause); UFG Int'l v. DeWitt Stern Group, 225 B.R. 51, 56 (S.D.N.Y. 1998) ("an employee's otherwise enforceable restrictive covenant is unenforceable if the employee has been terminated involuntarily, unless the termination is for cause"); SIFCO Industries v. Advanced Plating Technlogies, 867 F.Supp. 155, 158 (S.D.N.Y. 1994) ("New York courts will not enforce a non-competition provision in an employment agreement where the former employee was involuntarily terminated"). 2012 U.S. App. LEXIS 21111, *6-7 (2d Cir. 2012). The author was counsel for Hyde. See Random Ventures v. Advanced Armament Corp., 2014 U.S. Dist. LEXIS 3984, *165 (S.D.N.Y. Jan. 13, 2014).